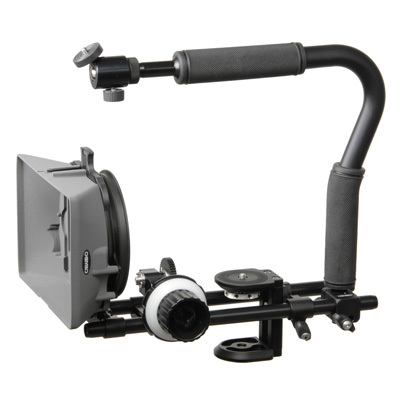 The Bronto-rig offers stability during handheld video capturing from low-angle. 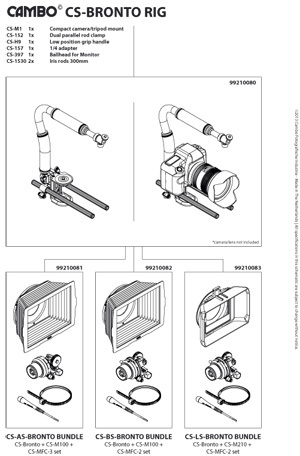 This Bronto rig can be extended to any rig configuration. 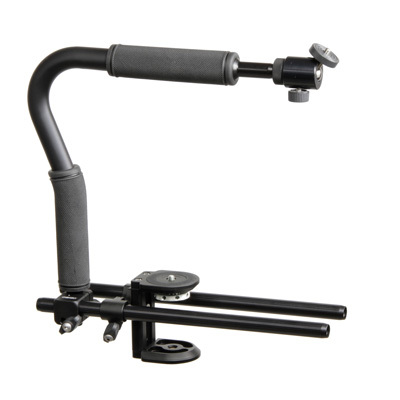 The rig includes a 1/4 Ballhead for Monitor attachment to the front of the handle. 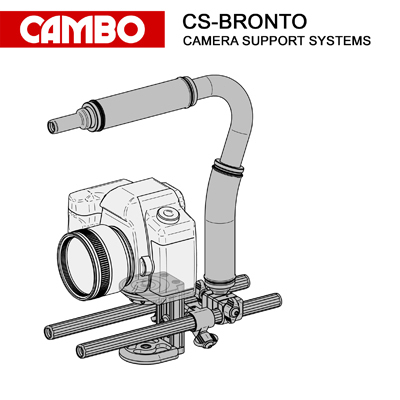 The Bronto-rig can be used with any follow-focus and/or matte box, this rig configuration allows to center the weight of the camera by the position of the handle for optimised alignment of the shooting direction. 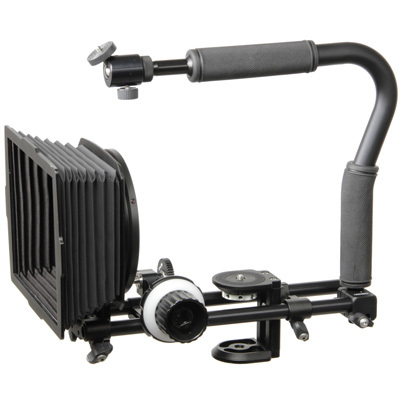 A Bundle with Cambo Mattebox and Follow Focus is also available.